Refresh and renew your eyes with an Ayurveda-inspired treatment that combines the botanical benefits of Green Science Line Minimizer and Firming Eye Crème to help boost the skin’s natural collagen production, minimize the appearance of lines and wrinkles and reduce the appearance of puffiness and dark circles. This soothing restorative experience for eyes includes our revolutionary marma eye massage to help relieve tension and revitalize the skin around the eyes. See your eyes come alive with the vital energy of plants, and massage movements inspired by ancient healing. NEW botanical kinetics™ energizing eye crème revitalizes eyes by helping diminish dark circles and reduce puffiness with licorice root and coffee bean extracts—while gentle activation of specific energizing pressure points helps energize the look of skin around your eyes. This amazing facial masque actively smoothes and retexturizes skin with the instant exfoliation and radiance benefits of a 30% glycolic peel without the associated redness and irritation. Warms skin, helping to open pores. Perfect for all skin types. Relax your mind as well as your body with a stream of botanical compound poured onto the forehead. 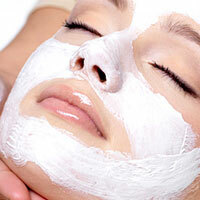 An ideal follow-up to a skin or body treatment.